How to use the tools your parents gave you. The more you know about it - the more you know it is a curse and not a positive personality trait. It is a burden of endless self judgment and a litany of internal voices that are saying, "Not Good Enough." 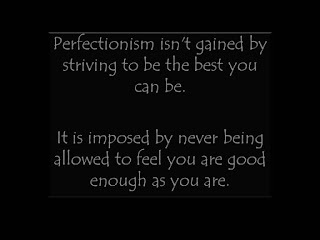 Perfectionism isn't gained by striving to be the best you can be - it is imposed by being never adequate. Many of the voices in my adult head were learned in childhood , and certainly the disapproval and disapprobation are part of this. 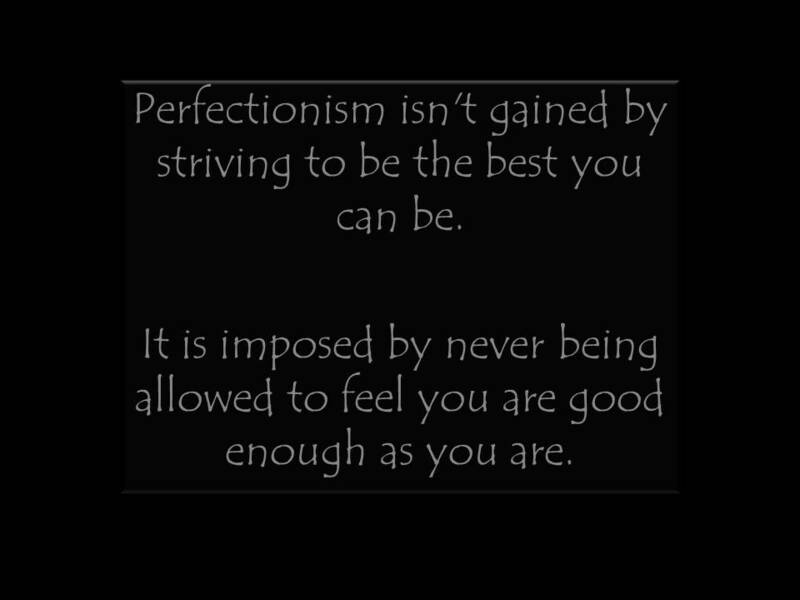 Correcting myself to always be good, constantly looking to find the tight rope path to being everybody's best fit solution, and the sheer endless hard work it is to find and stay on that, dominated my thinking for many many years. 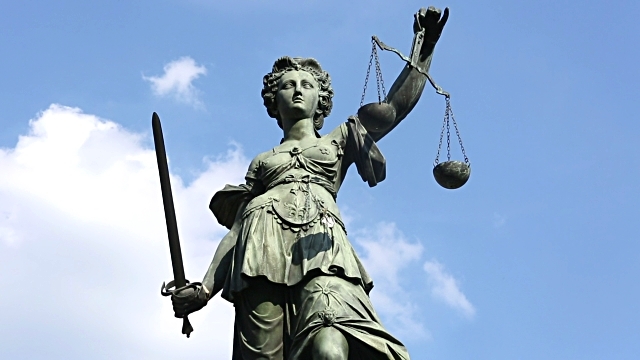 People would often describe me as intelligent - and I would wonder if it was innate or the sheer force of intellect required to analyze every situation and calculate the best (least harmful) outcome. I never walked in the moment, but felt more like someone in a force field - projecting the future before me, calculating a range of possible outcomes and mitigating against them. I would also be sifting through the immediate past, looking for possible oversights that might create future hurdles. All of this hyper vigilance just required to move - moment to moment. Just to reach a basic level of adequacy. Just to be o.k. The reality of dealing with all of this meant that I would inevitably cut myself off. I was unable to deal with the demands of "reading" a crowd in that way and the complexity of too many people. The demands of that volume of information would overwhelm me and I would find myself unable to process it usefully or fast enough. In an endless effort to be good enough, for people to whom I was never going to be good enough, I pushed and refined these ridiculous skills. Never realizing that this wasn't normal behavior or that everyone didn't look at every detail of what is, was, could be, happening. Not seeing that others forgave themselves, if they even felt the need to consider the goodness of each social transaction. If they did wander from the path of perfect, I too forgave them, in a way I was not allowed to forgive myself, because they obviously started from a position of basic goodness and me? Well I was always just trying not to be bad. I felt I had to try much much harder to be good because what I was now wasn't adequate, certainly not good enough to be treated equally. This is how I moved through my life for so many years. The revelation to myself that I was good enough..that I had always been good enough, that people who had chosen to judged me harshly should instead have been supporting me. When this (and all of the other false walls that are built in the minds of the child of a narcissist), when they eventually fell away I found a real clarity. I found that I could look back along the path that I had followed. It burned such a clear trail to those people who had pushed me, nudged me, moulded me with their endless disapproval and I saw them differently for a while. I turned this monstrous gaze of demanding perfection, (that I had used upon myself for all these years), back upon them. Like a searchlight. Revealing every twitch, every flicker of expression, every nuance of meaning, all lit up under the relentless and searing scrutiny I had used upon myself. There against the faint cries of, "We never meant to." and "We did the best we could." a wave of contempt damns every utterance and the lies, the self serving selfishness, are so easy to see with a gaze trained to accept nothing less than perfect. I see who they are, I see what they wanted and how they tried to get it. They seem like children in their naivety, thinking they can hide from me, as monstrous and unforgiving as you have made me. Hatred would be easy, indifference a gift. What I feel is contempt. Contempt that you expected so much of me, such strength , resilience, and perfection and yet never of yourselves. Even now though, finally seeing them like this, they damn me with their judgment for looking. "This is not right, it is your fault not our own"
Apparently I should not see such flaws. "And don't forget..It was for your own good."